Get the Best-in-Industry Batting Cage Insurance Program for Baseball and Softball Facilities at Affordable Rates. Average quote turnaround time is 12 to 24 business hours. Batting cage businesses provide training areas for baseball and softball pitchers and batters, as well as fun recreation for all ages. Many are open to the public on a drop in basis, have individual seasonal memberships, group team rates, or offer individual lessons and instruction on batting and pitching. Whether yours is an inside facility or an outdoor one, controlling the risks of injury and lawsuit is a must to satisfy the Accident Insurance and General Liability insurance carrier requirements. Outdoor cages have environmental factors to contend with, while indoor facilities have other potenti al problems. Facilities typically include batting cages, pitching areas, team skills area such as for infield practice, food vending area, equipment vending and rental area, meeting rooms, and rest rooms. Equipment includes fences, netting, pitching machines, pitching mounds, helmets, bats, and balls. All facilities and equipment should be inspected regularly with preventive action taken upon discovery of any defects. Standard risk management practices for batting cage General Liability insurance includes requirements for batting helmets, complete enclosure or containment with netting or fencing, testing and inspecting pitching machines, posting of rules and assumption of risk warnings, hiring qualified trainers and instructors, first aid kits and CPR training, prohibition of customer altering of speeds on pitching machines, and minimum age and height requirements for use of pitching machines. Customers should be prohibited from using the facilities without supervision and the rules must be enforced by staff at all times. Even with the utmost attention to details, injuries do occur in batting cages. Being hit by a pitched/batted ball, a bat outside a cage, another batter, and roughhousing among players can cause unforeseen problems for the owner. Injuries from these sources do occur but can be reduced dramatically with the practice of sound risk management. Having a signed waiver/release form for all participants should be mandatory. Parents or legal guardians should sign a minor waiver/release form in addition to having the minor’s signature. Waiver / release agreements are worth the paper they are written on even if they don’t serve the purpose of immediate lawsuit dismissal. They can be used by insurance carrier defense to greatly reduce the amount of damages that are owed. Be aware that having a risk management plan that is fully implemented does not ensure that an accident and/or a lawsuit will not occur. 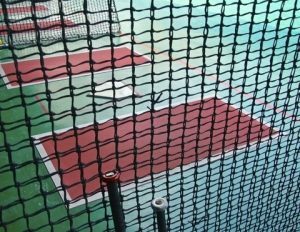 Batting cage operations can result in a number of injuries when least expected. The only way to protect yourself and your batting cage business is to have both Accident and General Liability insurance with sufficient limits.